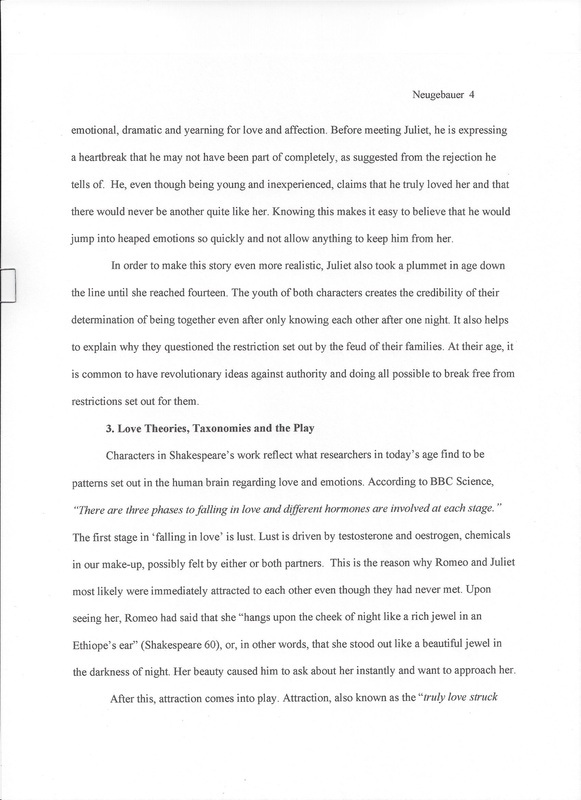 Students composed a full-process paper, modeled after the archetype of Pyramus and Thisbe. These ended up on our "Writers' Wall" in class. 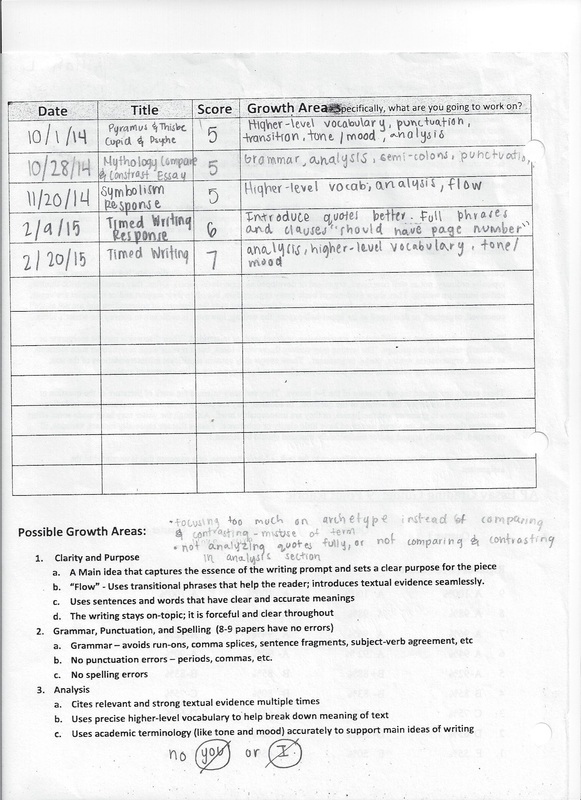 Students have had several timed-writing tasks scored with a 1-9 holistic AP rubric. 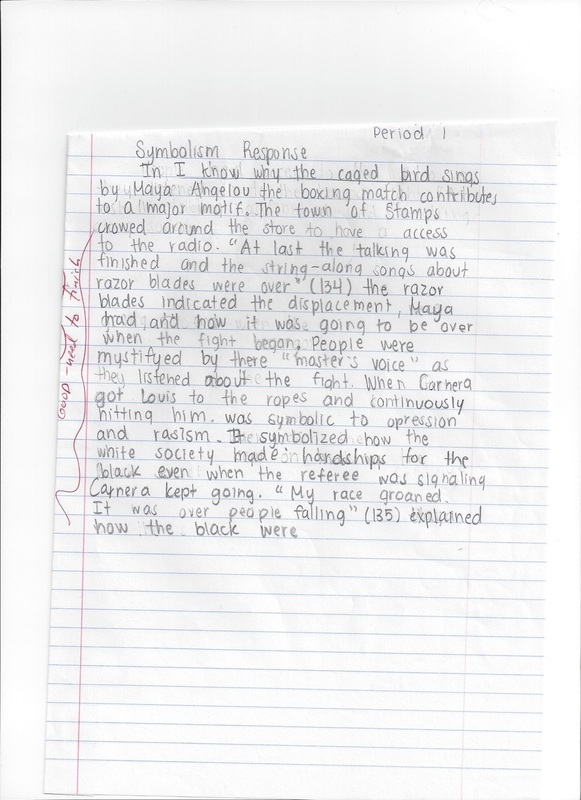 Selections include responses to literature, compare and contrast, as well as synthesizing sources (research). The following two samples show progress in breadth and depth of analysis: the sample left is a score "4" and the sample right is a score "5". 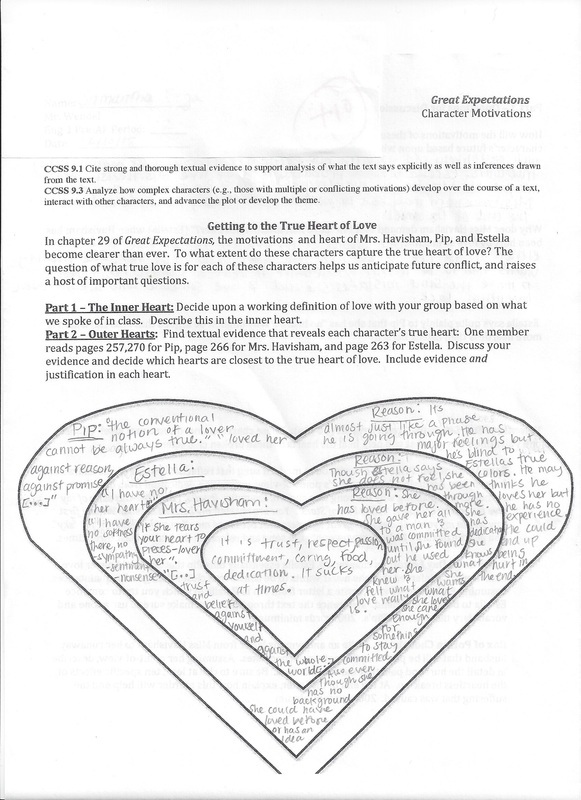 This assignment, using RL 9.1 and 9.3 as a basis, forced students to think critically about what love is and who in the text best captures the "heart of love" in Great Expectations. All in time for Valentine's Day, of course! 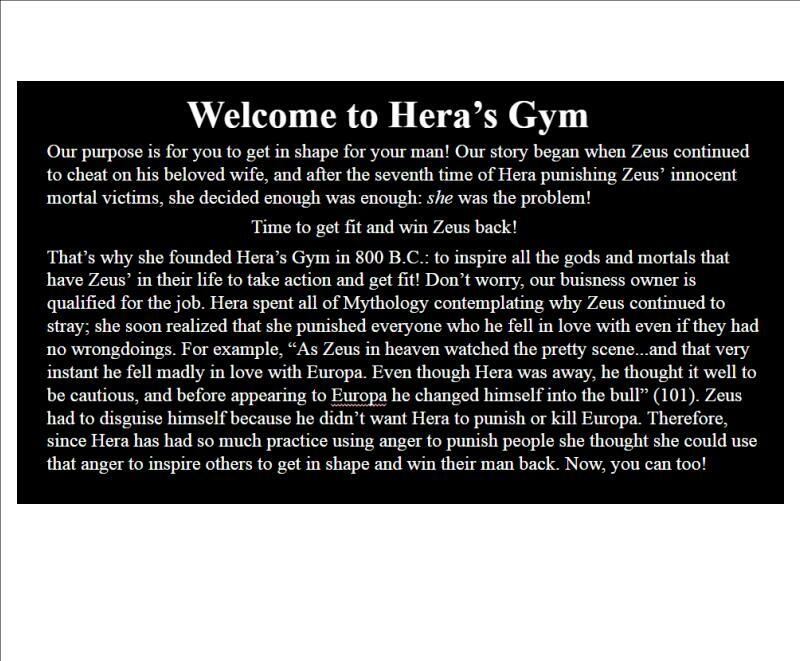 This activity required students collaborate and generate a business proposal based on mythological figures. 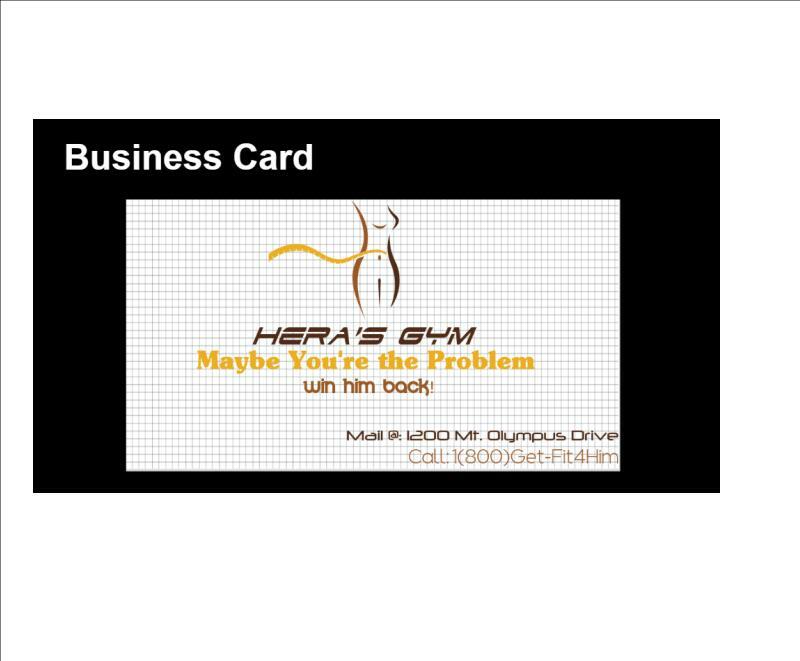 Students generated business cards, designed business logos, and manipulated digital trifold templates to convince their classmates to purchase their products. 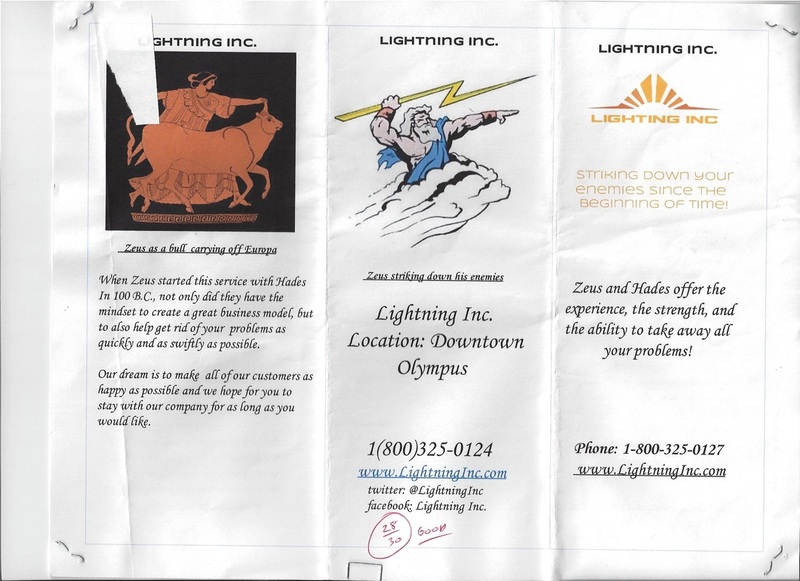 This group project had students coming up with a business plan using mythological figures. 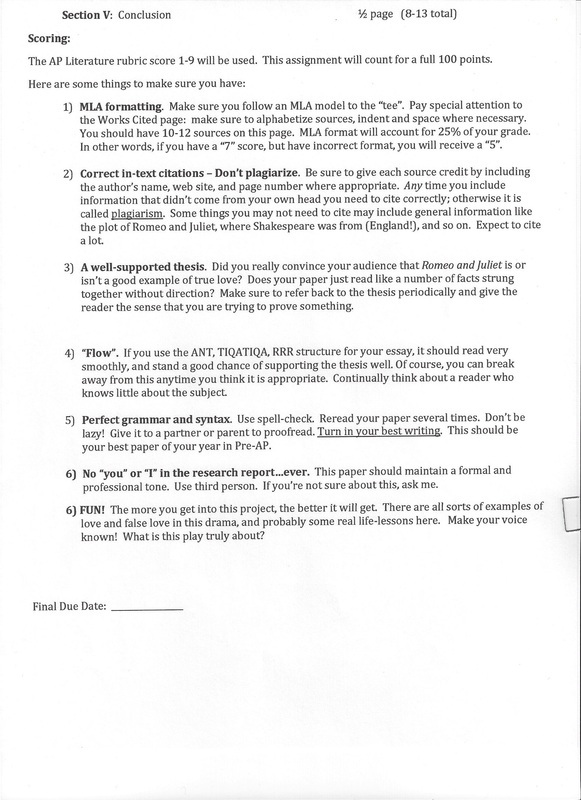 It was delivered in class using a presentation rubric. This group chose to make a tri-fold electronically using Google Templates. 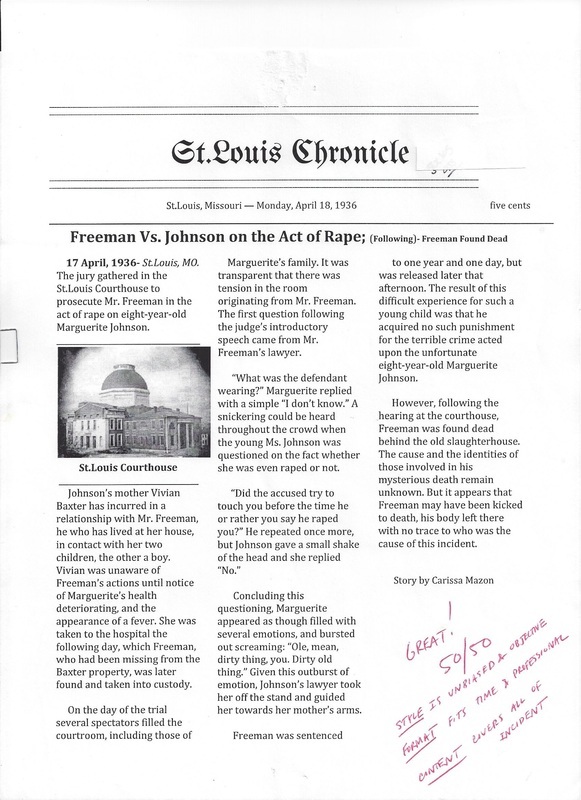 This assignment required students to generate a two minute video tutorial explaining their annotations and textual analysis of an excerpt from The Adventures of Tom Sawyer. 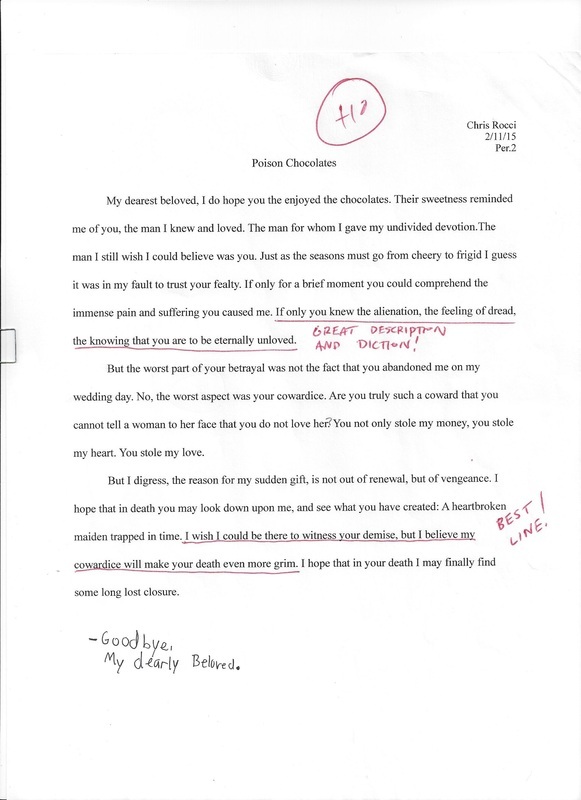 This was shared with other classmates in preparation for essay writing. 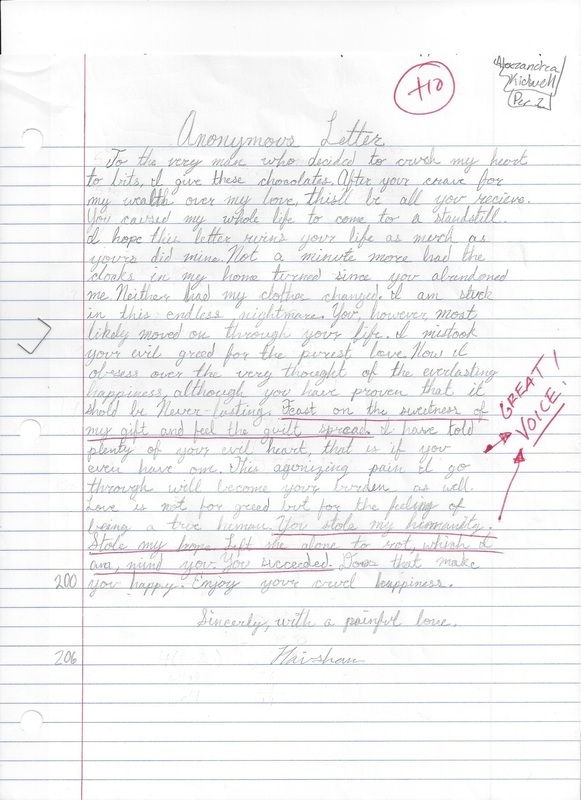 This first activity is an extension of the "heart of love" assignment; students had to assume the point-of-view of Mrs. Havisham. 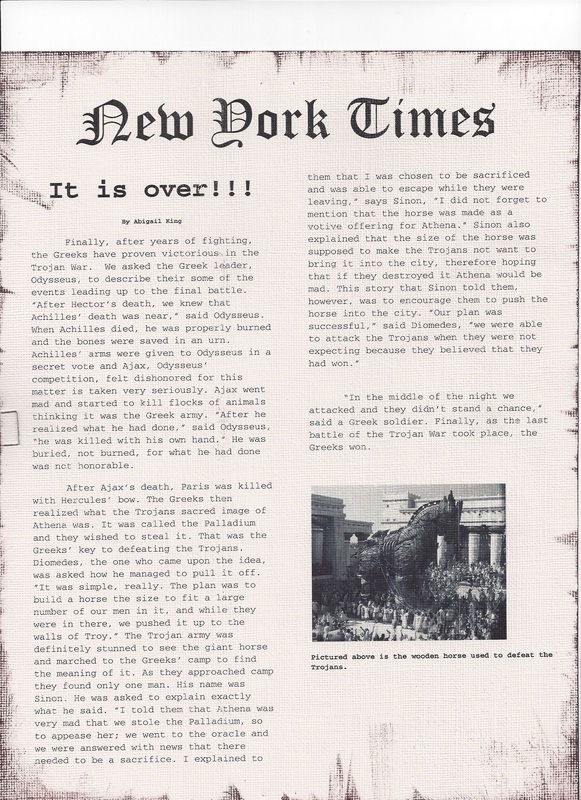 These assignments added journalistic flair to Edith Hamilton's Mythology and I Know Why the Caged Bird Sings by Maya Angelou. 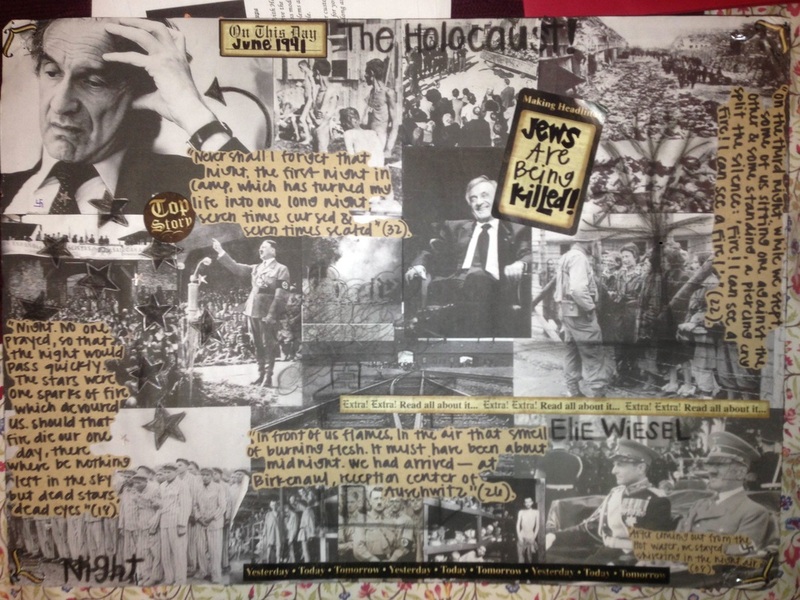 In this activity, students were to use Dickens' satirical tones from Great Expectations and transfer them to a political cartoon of their creation. 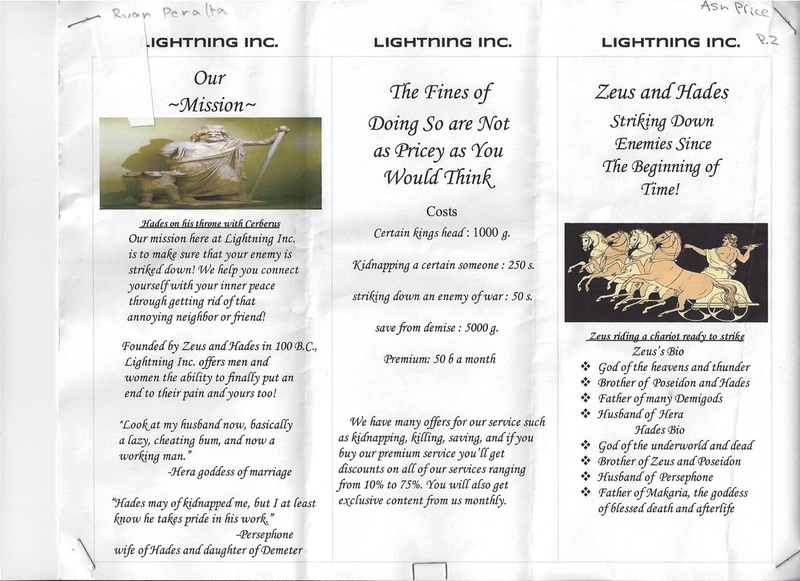 A full written rationale of their choices helped demonstrate their depth of knowledge. 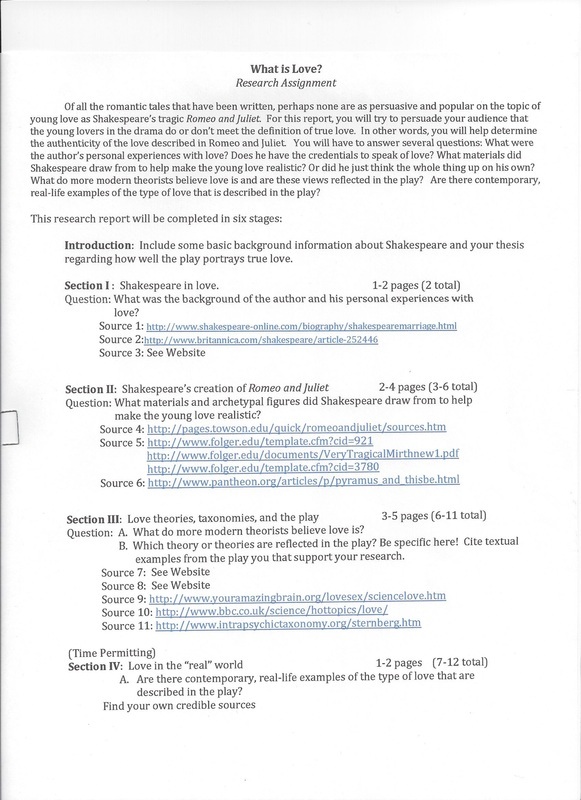 This assignment was completed in six parts during our reading of Romeo and Juliet. This gave ample time for conferencing, editing, revising and reteaching during and after each phase. 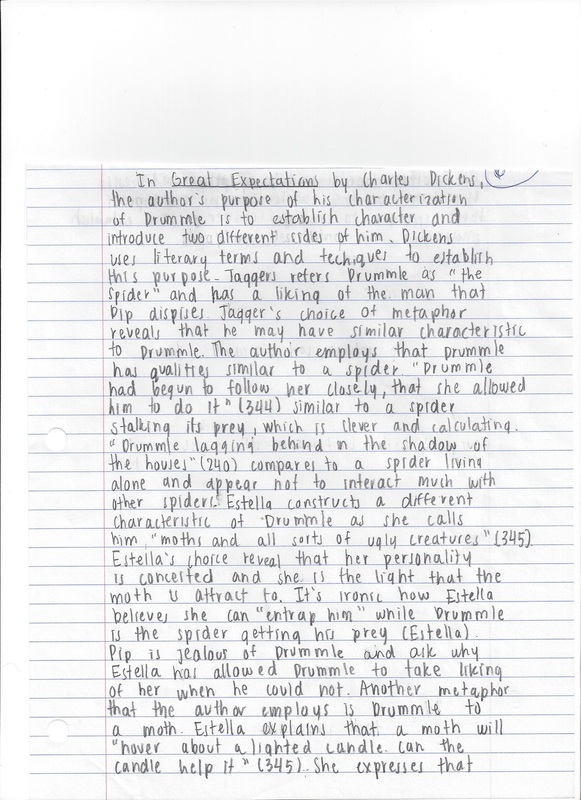 Here is a description of the assignment.